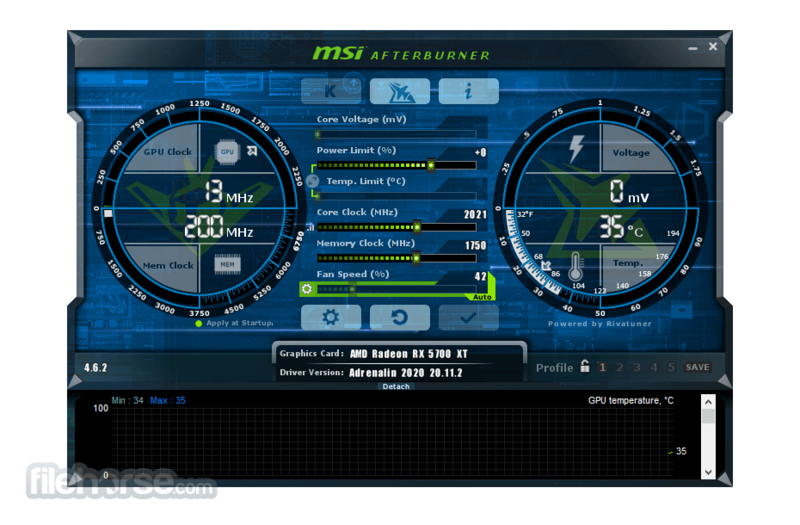 MSI Afterburner is the world’s most recognized and widely used graphics card overclocking software which gives you full control of your graphics cards. It also provides an incredibly detailed overview of your hardware and comes with some additional features such as customizing fan profiles, benchmarking and video recording. 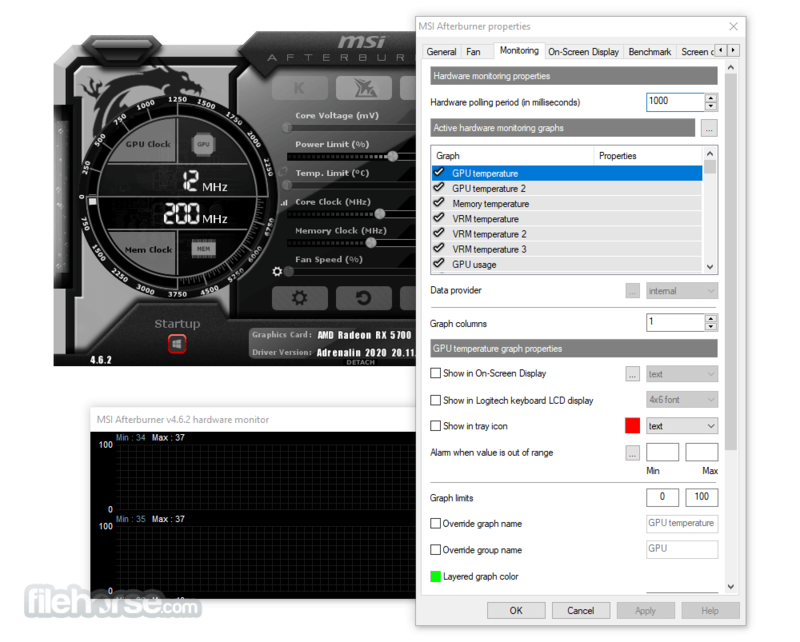 MSI Afterburner is available completely free of charge and can be used with graphics cards from all brands. Boost your game and PC lifespan while keeping it in top shape! Download Razer Cortex! Exploring and exceeding the limits of your graphics card might sound scary, but it’s actually easier than you think. 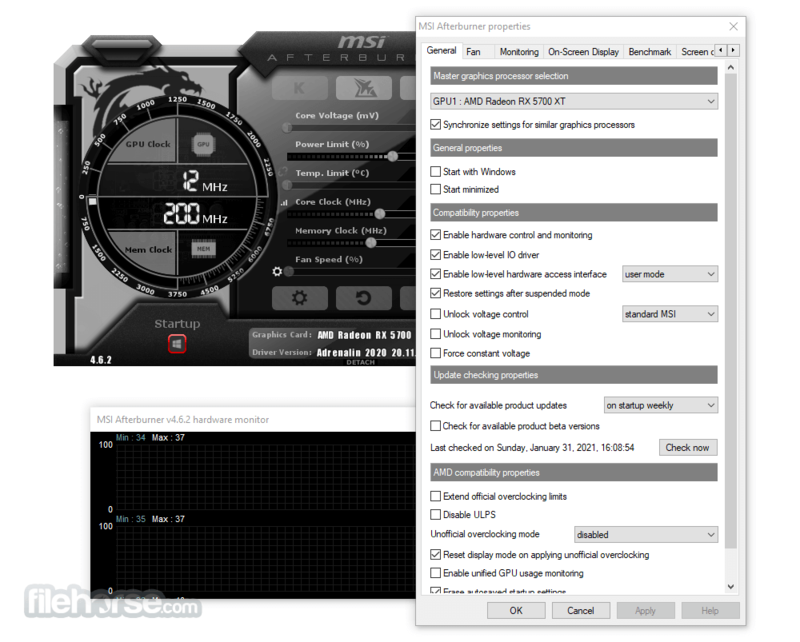 MSI After burner Overclocking tools provide easy and precise access to your video card settings. When increasing your GPU’s clock frequency and voltage, using fan speed control will enable you to find the perfect balance between performance and temperature. It’s time to unleash the true potential of your graphics card and show your rig who’s boss! Seeing is believing! In order to start mastering your system, you need to monitor and test it. 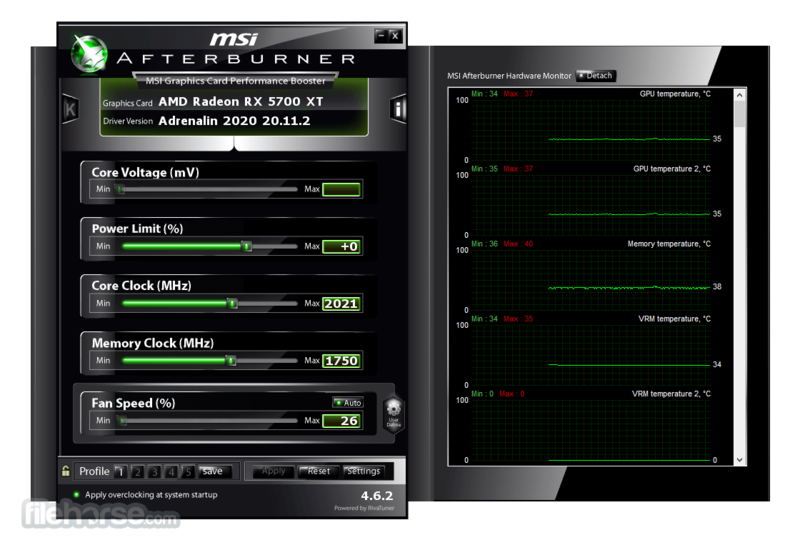 Monitoring is the best way to ensure the best system stability while gaming and overclocking. The Hardware Monitor shows you critical hardware information in real-time; temperature, usage, clock speed, and voltage. You can even display selected information on-screen while you game, so you can keep a close eye on key statistics. "We believe overclockers are always looking for the top, and we know that absolute control of the smallest details is vital to success. To reward our customers, we provide more extensive control over MSI graphics cards. The Triple Overvoltage feature will give you an edge by providing precise control of the Core, Memory and PLL voltages." Heat dissipation is an essential factor for graphics card performance. It lets you fully customize a predefined fan speed curve, allowing you to determine cooling performance all the way! The FPS counter displayed in the corner of screen is your best friend in games. It provides you real-time information of your system’s performance in an On Screen Display, so you can keep a close eye on the effect of your overclocking settings while gaming. 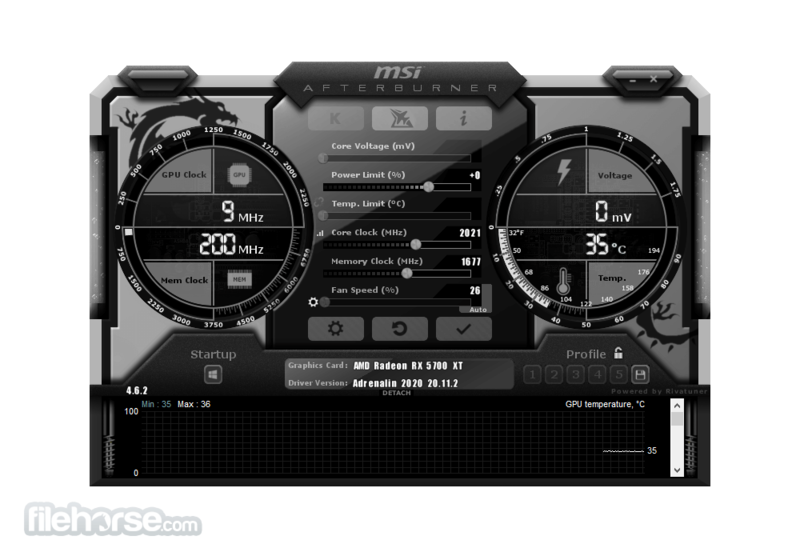 MSI understand that After burner users operate on a wide range of platforms. With more and more games coming out for modern 64-bit systems, It has included full support for 64-bit applications. Choose the look & feel that you like best! It comes with a selection of different skins that dynamically change how the program looks and what’s being displayed. Select one from the settings menu or download a custom skin online. Since MSI Afterburner is being used all around the world, you can select your language from the User Interface menu. All major languages are supported.